KLD03 Longmark tyres are specifically designed for long journeys on large vehicles that carry heavy loads. They are durable to last through many journeys and prove to be great value thanks to the extra support, fantastic stability and excellent fuel efficiency that can save drivers and company’s money on every journey. Don’t miss out on these fantastic tyres from Marshal, which are available at a great price to make sure you get the best value. 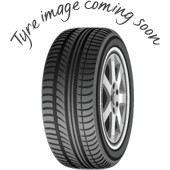 KLD03 Longmark tyres are a fantastic choice.